The INSULATION AND FLOORING STUDIO is oriented on professional technical support in the area of membrane damp-proofing of substructures, flat and sloped roofs, balconies, terraces, water-proofing of pools and small ponds, and also in technical support in the area of application floorings made by Fatra, a.s. Technical aid is provided not only to professional public, i.e. application and building companies, project designers and architects, but also to end users, investors, and their technical representatives. Preparation, administration and updating of “Structural and technological regulations” of damp-proofing systems and flooring, creation of type details. Providing professional training to implementation companies. Providing chief-assembly for significant, complex, and atypical projects or as a help for start-up companies. 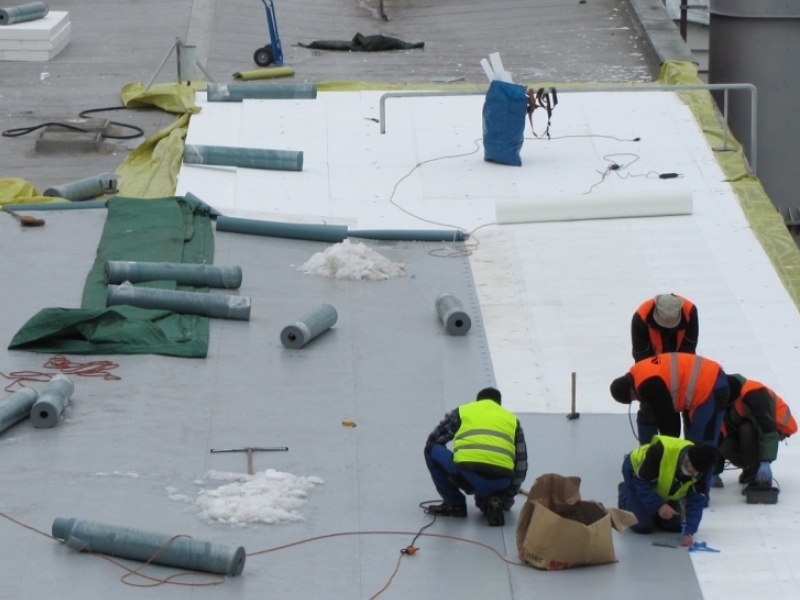 Material laying supervision (damp-proofing and flooring) from the assortment of Fatra, a. s.
Consulting and advisory services in the area of membrane insulations and flooring (selection and suggestion of suitable insulation principle, damp-proofing and accompanying material and type of flooring), design of structure details, directly on construction site if required. Design and assessment of radon insulations. Preparation of anchoring plans (securing the covering against external and internal forces). Periodical inspections of selected applications. Providing contacts to trained implementation companies. Assistance in quotation preparation and assessment of large or technically significant projects.